Debra Waldoks is a US Registered Dietitian-Nutritionist with a Master's Degree in Public Health, and additional training in Functional Nutrition. 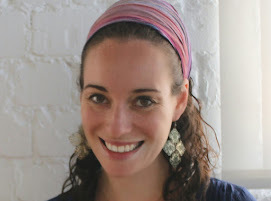 She has a private practice in Israel and is an adjunct nutrition professor at Hebrew University, where she is teaching Maternal and Child Nutrition. Debra is also an evidence analyst for the Academy of Nutrition and Dietetics. Her nutrition specialties include weight loss, perinatal nutrition, Fertility & PCOS, gestational diabetes, vegetarian diets, and pediatric nutrition. She currently lives in Israel with her husband and three children. Prior to moving to Israel, she lived in New York City, where she maintained a private practice and implemented public health programs for women and children, including two initiatives for the NYC Department of Health and Mental Hygiene (one at Rikers Island Women's Prison and one in the South Bronx for NYC Health and Hospitals Corporation). The goal of the Beyond Prenatals blog is to encourage and empower parents to learn more about nutrition during preconception, pregnancy, and early childhood. New website coming soon: www.Checkboxdiet.com!! "Diet is still going really well, weight is slowly coming off and as long as I stick to the program and get enough sleep my skin is good too. It's so nice to finally be secure in the knowledge and have confidence in what food I should be eating and what's good for me" - Lauren M.
"It's going well and I'm really happy (which is good! Definitely the happiest I've ever been 7 weeks postpartum! By far. "- Sarah Q. "It just took me 10 mins to eat 3 dates and 5 Brazil nuts. Before meeting you, I could eat a whole meal in 10 mins! Also, I have never eaten this many vegetables before! And I've been sitting down to eat all my food. Also I lost 3 pounds." -Melanie B. "Thank you for helping me to do this, I am so relieved it is working. I think I am starting to feel like I could live with these changes and that is the most important bit." -Allie A. "Both my daughters tried baked salmon tonight (they've never eaten fish like that) and one really liked it and even my picky eater tried it, but didn't eat it.Thank you." Mimi T.
This blog is dedicated to Debra's grandmother who taught her the importance of eating well during pregnancy, feeding children well, examining health news from multiple perspectives, and keeping our God-given bodies healthy. 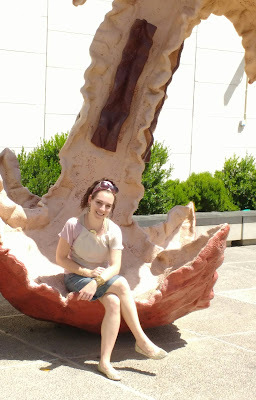 Picture taken in an apple-core sculpture at the Israel Museum, Jerusalem, Israel.